State Bank of India Managing Director (Retail and Digital Banking) Parveen Kumar Gupta today handed over a cheque of Rs.8 Crore to E P Jayarajan, Minister in-charge of Chief Minister’s Distress Relief Fund (CMDRF). This includes Rs.5 crore raised by the employees of State Bank of India (SBI) collectively and a further contribution of Rs.3 crores by the Bank, to make the total contribution amount to Rs. 10 crore in the Chief Minister’s Distress Relief Fund (CMDRF), including the initial contribution of Rs 2 crore to CMDRF. 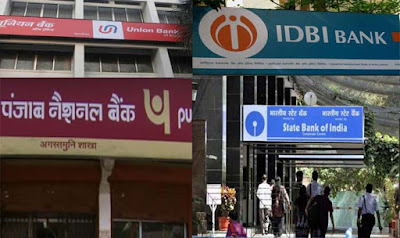 The Bank has 1245 branches and 3243 ATMs in the state. Over 15000 employees of the Bank across the state voluntarily undertook on-the-ground relief measures by providing basic supplies like food & grain, medicines, drinking water, clothes, to the distressed citizens of the state. The Bank managed to normalize services for its customers by making all Branches and most of the ATMs operational immediately. To meet immediate cash requirements of the flood affected people, over 2800 Cash@POS machines were also deployed by the Bank. 1. No processing fee for any loan relating to flood relief measure. 5. No charges on non-maintenance of minimum balance from proceeds of relief fund provided by Govt. and agencies to be put on hold. If any such charge is recovered, the same would be refunded. 2. Individuals who have displaced and lost personal documents can open small accounts with only photograph and signature / thumb impression. 3. The Bank has opened a dedicated “Help Line” desk at its Local Head Office to assist clarify queries by flood affected customers. 4. The Bank has already taken necessary steps for implementation of SLBC directives for providing various reliefs by restructuring/rescheduling existing loans of flood affected customers under Agri, SME segments and also Housing Loans etc.